With the summer season now in the rear view, we also must look back on who some of July’s top performers were. Many prospects really put forth some outstanding efforts during the past month and earned some recognition for their play. Below are some of the players who put their best foot forward and showed out at events like the Next Level Invitational, the Summer Jam, etc. Beard was really, really good on the court the week at the Summer Jam. He was quick, he made plays with the ball in his hands taking it to the basket with smooth moves and good touch for the finishes. However, it was his play off the ball that really showed out well for the young guard, as he read backdoor cuts beautifully and then finished off the catch. His slicing between two defenders in mid-air to a reverse-side lay-up was tremendous. Bowman showed all the makings of being the next star coming through the REACH program, and showed out big time throughout July. He had some big games at the Next Level including a shining second half in the title game which he concluded with a game-winner after backing down the defender into the middle and then hitting a fading jumper in his face. He then carried that momentum in the Summer Jam with some big games there where he shot the ball really well from the perimeter, but also got to the rack, played great in transition and was passing the ball really well. Oh, and he did it playing up an age level. Burnell was playing at a high level in July, playing really strong with the ball in his hands and making plays both for himself and for his teammates. He did a nice job driving to the paint and making good decisions when getting inside, either going all the way for the finish at the rim or stopping and making the right pass to his teammates. Burnell showed a good blend of being able to get teammates involved while also scoring the basketball. 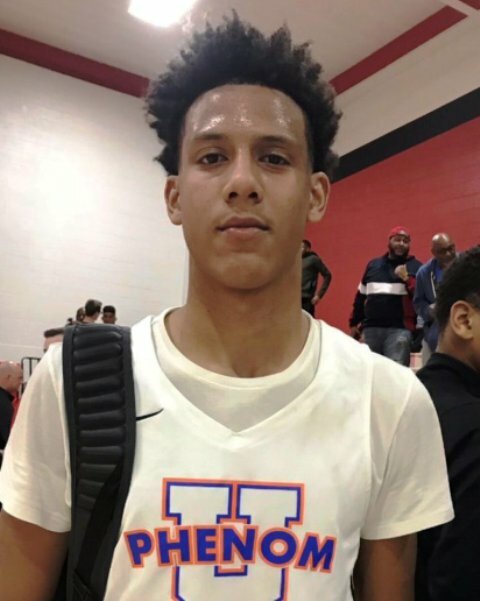 Cockburn was a power for the 16U Rens squad throughout July. With his combination of size and strength, the young big man was a force in the paint and when he got it down low, he was tough to stop. Cockburn made a couple nice drop-step moves off the block for finishes, he caught lobs, he came straight down the middle for a couple big scores. As he rounds out his game even more, watch out because the physical tools were on display along with a developing post skill-set. Domask was doing Domask-things during both the Next Level and Summer Jam events. At 6’6”, he is often a mismatch at the guard spot, and he took advantage of that often, scoring it both from the perimeter and taking it to the hoop. He finished at the rim consistently, he was knocking down jumpers in a variety of ways (fade-away, pull-up…) and he drained three’s. He was also pretty clutch for his team, hitting some timely three’s in big games. Hall played really well overall for Mac Irvin Fire in their July events. At the Summer Jam, Hall took over at times, using his size and instincts to make plays for himself and for his teammates. He played hard on defense, getting some steals and even blocks sinking down, and he rebounded alright. Offensively, Hall was knocking down jump shots, getting to the rim with good body control for the finish or dropping it off to teammates for scores. Johnson was awesome much of the time in July at their various events. At the Summer Jam, Johnson led his team to the 16U tourney title via clutch plays and dominating the action at times. He used his size well around the basket when he was on the attack and finished in different ways, including with some big-time slams in transition. He also knocked down three’s and jumpers to help lift his team, including a bank shot from the top of the key in the semi-final game to win it. In the championship, he started the action off hot and sealed the win with some strong play down the stretch, as stars often do. Jones was a driving force for a tough Team Teague squad that had good success overall in July. Jones is a big post prospect that moves pretty well at his size but has a really nice touch from about 15 feet and in. He played well down-low, tearing the rim down on a number of occasions, but also showed feel off the glass and was powerful rebounding the ball. Kennedy made a lot of nice plays for the Wolves at the Summer Jam, increasing his looks from scouts with his well-rounded game. The young guard prospect did a nice job shooting the ball as he showed off the pull-up jumper from mid-range, hit some outside shots, and was otherwise taking it strong to the basket for the score. Kennedy also did a nice job getting his workmates involved and put them in good spots to score off the catch. 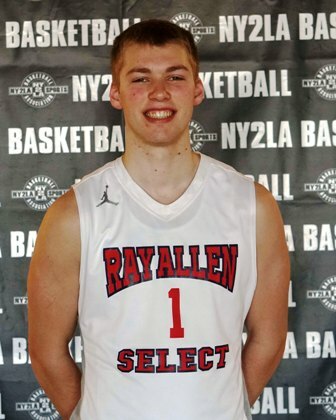 McLaughlin is a tough guard with good physical tools, and in July he did a nice job of showing off a well-rounded skill set to go with his tangibles. McLaughlin plays up-tempo and can make plays all over the floor. 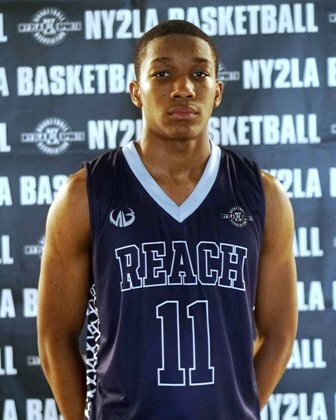 He hit three’s, he was good pulling up off the attack, is excellent in transition where he can finish off the glass or on the rim, and he can finish at the hoop in the half-court as well with strong takes to the hoop. The 3D Empire guard was also strong defensively with his toughness, length and hustle. Miles was on fire in several games for REACH, playing well off of Bowman spotting up on the wing. He was a hot hand for his team and often found spots on the perimeter to score from, hitting big shots. Miles also did well with the ball in his hands and attacking, particularly in transition where the floor was open and he could use his athleticism easier to burst past defenders and finish strong at the rim. Miller made some big plays for U-Play Canada at the Summer Jam. He was strong with the ball in his hands and was able to attack the basket often, finishing with good control against contact. He was steady at the free throw line, and Miller was also pretty solid shooting the ball away from the hoop as well. Nau continued to expand his game more and more as the July went on, really getting comfortable again attacking the hoop and finishing against bigger opponents with his intelligence and good feel for the game. He saw the court really well and made a lot of nice passes, he knocked down some big-time shots for his team and played better defense than he is often given credit for. Newman was a big-time scorer for a solid Meanstreets squad. Throughout the Summer Jam, Newman would catch fire from the perimeter and was shooting the ball really well. Defensively, Newman used his athleticism and size up top to cause problems from opposing guards, and then turned some turnover opportunities into fast-break points. His shooting in the final game was something to watch though and is where he really showed off. When Polk’s hand got hot in July, it stayed that way and he was a major reason for the success Phenom University had throughout the month. In the Peach Jam title game, Polk helped his team claw back into the game after an early deficit with his perimeter shooting, and in the Summer Jam semifinal, his outstanding shooting coming off screens or spotting up and shooting off the catch kept their lead early and allowed them to fight through some struggles late to eventually win and advance, hitting 6 three’s in that game. Rivera was once again really good the past month for Quad City, continuing his momentum from the spring season. Rivera continued to make plays on the drive where he was able to use his size and athleticism to make plays around the basket, but he also made some nice shots from the mid-range area. He has a nice little fall-back shot at times too when the defender is in good position, which made him a challenge to guard. Saunders isn’t the biggest guard, but his play throughout the Summer Jam was really fun and exciting to watch. He used his speed and quickness to often blow past defenders and once he got by, he was able to score multiple ways, be it off the pull-up where he was deadly from mid-range at times or playing tough to the rim and finishing with excellent confidence. His game-tying turnaround jumper in an early game Saturday was challenging and he made it look easy and shot it without hesitation. Sharar proved to be a player to keep an eye on the next couple years with the way he was able to score the basketball at the Next Level Invitational. He showed off a good, quick release which allowed him to knock down outside shots without needing much space from the defender. Sharar also showed he can drive and finish a little, as well as shoot it from the mid-range wing and baseline off the pull up when needed. 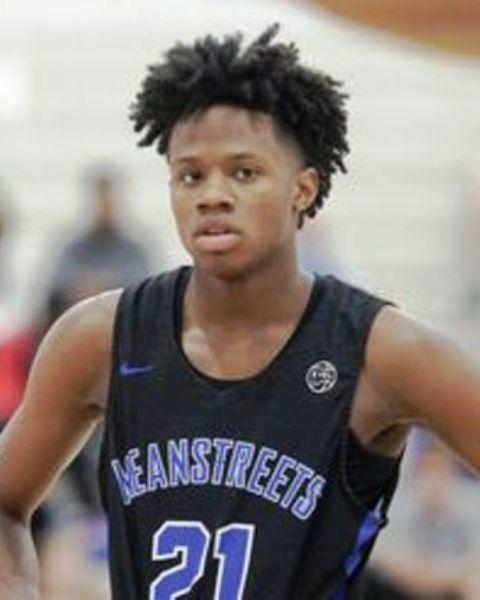 Steward was impressive yet again in July for Meanstreets. He played with the ball, off the ball, got after it some defensively with his good instincts and was ultimately a major scoring threat game in and game out. Steward hot some big shots both off the pull-up and from the three-point line, and he was also really good on the drive. Steward’s play against Phenom University was a major reason PU needed a game-winning shot at the buzzer to beat them. Washington had a really good spring season and he continued that play into July. He once again showed a developing game that makes him really effect on both ends of the floor. Defensively, Washington has good anticipation with good quickness and long arms where he gets a lot of deflections or jumps passes really well to turn into transition opportunities. On offense, Washing once again did excellent going to the basket where he finished in different ways around the rim. He also sank some tough shots for his team throughout.